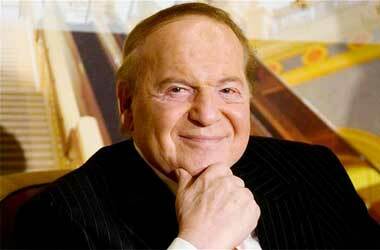 There has been a lot of speculation as to which presidential candidate Las Vegas Sands Chairman Sheldon Adelson is backing as the 82 year old billionaire is known for having strong ties in political circles. There were initial reports that Adelson had backed the young Senator Marco Rubio but recent reports have confirmed a meeting between Adelson and Donald Trump who leads the Republican polls. Trump who has stated on numerous occasions that he is self-financing his own political campaign and did not have to cower down to the whims and fancies of financial tycoons just to get political funding is reported to have discussed a number of issues with Sheldon Adelson including his plans for Israel. He (Trump) had talked about potentially dividing about Jerusalem and Israel, so I talked about Israel because with our newspaper, my wife being Israeli, we are the few who know more about Israel than people who don’t. Donald Trump has taken everyone by surprise after he flirted with the idea of running for president before finally committing to run with the Republican party. The loud mouthed and out spoken real estate mogul currently has over 40% of the votes and is the leading candidate with doctor Ben Caron having 12 percent of the votes, followed by Senator Ted Cruz in third place. Trump continues to gain momentum with every passing month and if things continue to go Trump’s way he could be facing Hillary Clinton in the presidential debates. Adleson said that he was very impressed with what Trump had been doing and his numbers spoke volumes as he had over forty percent of the votes and there was no one even close to competing with him. Adelson stated that Trump was very charming during their meeting but also made it clear that he has not yet made up his mind as to which candidate in the Republican party would receive his backing. The Las Vegas Sands Chairman stated that he planned to wait a couple more months and see how the race turned out before making a final decision on which candidate to back. Adelson stated that the biggest criteria he was looking at in the Republican candidate was someone who had the ability to go all the way and become the next president of the United States.